The organization of the Collective Security Treaty - an already loose and dismembered alliance that has never attained the level of consolidation necessary for an effective geopolitical presence - is part of the new 2019 year in a state of turbulence and uncertainty. As before, the main threat to the Organization is the ambitions of its "younger" participants, which, in addition to loyalty to Moscow, does little in fact unite. As a result, even a routine and procedural issue, such as the appointment of a new secretary, a purely technical figure, once again shook the crumbling building of the military-political community until its foundation. New seismic processes in the CSTO camp began after post-revolutionary Armenia withdrew from his post the secretary general of his representative, subjected him to criminal prosecution. President of Kazakhstan Nazarbayev proposed to follow the CSTO Charter and transfer the powers of the secretary-general to the following alphabet to the state of the alliance - Belarus. It would seem that the question is not the most important. However, he served as a ground for disagreements, from which the fire broke out. Between Minsk and Yerevan there was a series of diplomatic mutiny that had to be resolved by December 6 2018 at the CSTO Heads of State Summit in St. Petersburg. However, this meeting of the leaders of the member states of the Organization not only did not set a point in the dispute, but only exacerbated the situation. After the summit in the press, there appeared a lot of controversial reports on the state of affairs in the issue of re-election of the secretary general. Thus, Alexander Lukashenko, in a brief commentary to journalists at the margins of the EAEC and CIS summits, said that the issue with the new secretary general of the CSTO had already been resolved. "Unexpectedly almost the CSTO meeting was held. And in principle they solved the problem with the appointment of the secretary general. The Belarusian representative will be [the secretary general of the CSTO], the Belarusian president told reporters. After some time, the statement of the president of Belarus was disavowed by the press secretary of the Russian President Dmitry Peskov and the press secretary of the acting Armenian Prime Minister Arman Eghagyan: they unanimously argued that the issue of appointment of the secretary-general of the CSTO was still unresolved. It is worth recalling that the initiator of the transfer of powers to the secretary general was not the Belarusian side. Nursultan Nazarbayev at the CSTO Summit in Astana said that the year is too short for such a post. According to the charter of the block, Belarus follows the alphabet following Armenia. Yerevan itself withdrew its representative, so it is necessary to have a normal acting secretary general who could, as soon as possible, lead the organization and continue to implement the decisions of the Council of the Organization without any political shambles. "Of course, Armenia wants to renew. All the heads of state said that there was only one year left, he would not have time to get around these countries. Therefore, we need a normal acting general secretary next, from the Belarusian side, "the head of Kazakhstan said. 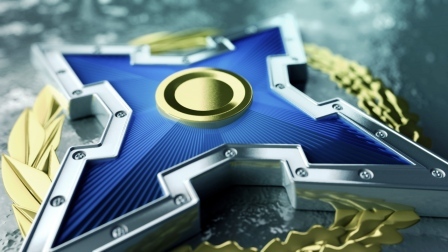 The keen discussion of the leaders of the member states around the new candidacy for the post of Secretary-General of the CSTO demonstrates the usual lack of unity within the Organization itself. The long-standing impression that the participating countries want to see their representatives on key posts, based solely on their own narrow interests, is again reaffirmed. In fact, all countries in the Organization have more or less good bilateral ties with Russia, but with each other they are not. And in the case of Belarus, even relations with Russia are developing not without complications. In the history with the secretary general of the CSTO, at first sight, there are echoes and special relations between Baku and Minsk provoking irritation in Yerevan and the latest frictions along the Minsk-Moscow line in connection with Russia's tax manuscript and accusations of Lukashenka in compelling his country to "deepen integration" »With the Russian Federation. And these are only the obvious elements of a cluster of contradictions hidden in the "Eurasian unity." If today the Russian side, as a leading CSTO player, will not take any serious steps to resolve the situation, a trifling at first glance the issue of personnel appointment may become an iceberg, which will sink the already friable tribune of the semifenth alliance. The reasons for the regular crises from which the CSTO was raging were laid in its very foundation, and it stems, first of all, from the total political and economic selfishness of the key state of the bloc - Russia, whose behavior has safely become a model for impinging on the rest of the members of the Utopian Union. Formally, the Organization was created on 15 May 1992 in Tashkent, when the leaders of Armenia, Kazakhstan, Kyrgyzstan, the Russian Federation and Tajikistan signed the Collective Security Treaty. However, in those years, the block (which later replenished Belarus, Azerbaijan and Georgia, and then left the two last republics and Uzbekistan) was rather a phantom of the recent common defense space - a kind of CIS security in the region, which was called to somewhat slow down and anesthetize the gap of the former Soviet military blanket to republican chips. The most eloquent statement about the ephemerality of the CSTO of those years was the fact that Armenia and Azerbaijan, who signed the treaty, at that time led one another with a bloody war for Karabakh. Subsequently, the project was postponed to the long drawer - the weak and internally split Yeltsin Russia was engaged in indistinct integration with Belarus, and the other participants in the pseudoalliance, at all, tried to ensure the establishment of their own security forces as soon as possible. In the beginning of 2000-X, when the first signs of stabilization, economic growth, and the first signs of the geopolitical ambitions of the Kremlin appeared, the CSTO of naphthalene in Moscow was decided. In fact, the CSTO on the basis of the Collective Security Treaty was established in Moscow 14 on May 2002 year. In February, the 2009 Leaders of the Alliance Member States approved the creation of a Collective Rapid Reaction Force. However, at this stage, one of the CSTO genital traumas was manifested - the lack of common goals among the member states, and the prevalence of national (in the understanding of local elites) interests over the common. Moreover, the tone asked the seemingly most interested party in the vitality of the bloc, in addition, the country was actually its founder - the Russian Federation, incapable of tempering its national appetites for the sake of collective good. Belarus, due to an outbreak of "milk war" with the Russian Federation, refused to participate in the session of the Collective Security Council, which was supposed to decide on the creation of a KFOR. With a creak, constantly demonstrating the front, Lukashenka signed all the necessary papers only in the autumn of 2009, but already in the 2016 the new military doctrine of Belarus - which supposed the use of the armed forces of the country exclusively on its territory - and the subsequent adherence to the confrontation with Armenia, that Belarus's obligations under the CSTO for Minsk were not too serious. 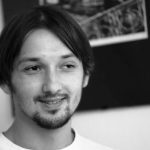 Foretold this most difficult challenge for the internal unity of the Organization - the April Revolution of the 2010 of the year in Kyrgyzstan. Probably, Alexander Lukashenko, agreeing to form the KSOR, ultimately expected that the new formation would become such an Eurasian gendarmerie, in which case it would save the post-Soviet autocrats from revolutions and revolutions. However, he was expecting a fierce disappointment. Then the situation in Kyrgyzstan, fraught with the overthrow of President Bakiyev, became the occasion for an urgent meeting of the heads of the CSTO. Lukashenko's request to help Bakiyev, and the introduction of KFOR in Kyrgyzstan, came up against the cold reaction of the Russian Federation, on the pretext of having an internal conflict in Kyrgyzstan, not an external threat, which refused to send troops there. A scandalous and demonstrative priority of Russia's own interests, interested in establishing a more loyal regime in Bishkek, brought Lukashenko into rage. Obviously, with the first possible "baptism of the" ghostly block, which this year has already been 10 years, the lines of the fault will manifest themselves with a new force. Perhaps this is precisely because of the fact that the CSTO has hitherto avoided participating in any military-political operations. The block is similar to another Russian miracle weapon - the Tsar-gun, which, with a spectacular thrill, turned out to be completely useless in practice, and after the first shot it was almost doomed to self-destruction. Obviously, the first real operation will lead to the collapse of the block, whose members do not have, in principle, common opponents and common goals, but are full of mutual mistrust and aggressive egoism. In fact, the CSTO was never born, as a victim of the total inability of its leaders - first and foremost Russians - to go beyond the cavernous Darwinian narrow-mindedness, and to sacrifice small for the sake of more. Created as a club of post-Soviet autocracies (with the exception of perhaps Kyrgyzstan), this alliance initially became a victim of the whims and egoism of the founders of dictators, with all the nostalgia of "Eurasian unity," long accustomed to unlimited power in their personal "sandboxes", and requiring huge financial pouring for the refusal of some elements of its sovereignty. Russia in this series is also not an exception - the fading of the EAEC, for example, is largely due to the reluctance of the Kremlin to yield where it is beneficial to the whole association as a whole. The same applies to the CSTO. In the tumultuous times of oil super-revenues in Moscow, there was still a surplus of funds to meet the demands of the "allies," that the integration processes were badly pushed forward and forward, but today the Kremlin simply does not have such resources. However, the geopolitical exacerbation, the launching crown of which turned out to be the adventure of Moscow in Ukraine, 2014 year, in a certain way, froze the processes of internal disintegration of the CSTO. This is due to the fact that the "Eurasian" autocracies, with all their demonstrative frontier before Putin, faced severe economic turmoil and faced the threat of internal destabilization. Under these conditions, Moscow's emergency power may turn out to be the last resort. However, this reinforcement is imaginary and short-lived. Under him, there is still no economic basis, which Moscow can not provide due to its pathological aggregation and the inability to engage in real mutually beneficial integration. Other regional leaders, such as China, are gradually pushing Russia out of the economic life of the CSTO member states. And the share in the economy gives the opportunity to use soft power. So far, this process has only been identified, and alternative forces of the Kremlin are in no hurry to use their leverage of influence, allowing for the loose phantom of the "Tashkent Pact." However, if Moscow is not able to develop effective countermeasures, and to breathe new life into the unification, in future destructive factors will necessarily manifest themselves. And then the CSTO will be eroded instantly, like a mirage. Engin Ozer: "The process of settling the conflict around Karabakh is in deep crisis and deadlock"